CRAB Cleaning Rubbing and Burnishing brushes are made from coarse and fine grade fiberglass, brass, nylon and stainless steel. The tools are suitable for a wide variety of cleaning, rust removal and polishing applications including rust removal, de-burring small metal parts, eliminating printing marks, patina preparation and much more. (Including polishing Pennies! )* C.R.A.B. Stick Brushes - The stick brushes have a plastic protective covering that is cut back as the brush wears. 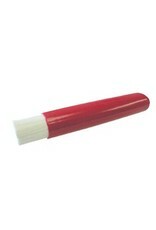 These fiberglass brushes are manufactured from spun glass in two grades of material, coarse and fine. Brushes will not contaminate clean surfaces.